It’s here. After years of research and fine-tuning, The Haight is in bookstores. 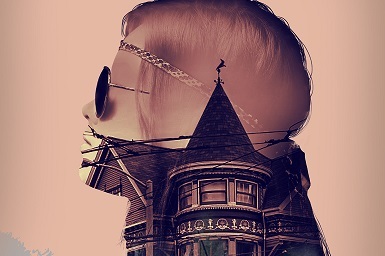 My fourth book and first novel, The Haight is a murder mystery set in San Francisco’s Haight-Ashbury district in the spring of 1968 – it's a Whodunnit with Hippies. I've spent a lot of time investigating this place and era and I couldn’t be happier that the novel is now on the market. Many thanks to my publisher Roger Williams at Poplar Press and my agent Andy Ross for making this happen. And special thanks to my partner in life and letters Carol Moreira, who’s read more iterations of this book than anyone should have to. The Haight is the story of SFPD Lieut. Jimmy Spracklin as he searches for the murderer of Haight-Ashbury-based artist, John Blakely. At first, authorities think Blakely has overdosed, but the autopsy shows his heroin has been cut with silver cyanide. Spracklin, the head of the Bureau of Inspectors, takes the case himself. He has a personal interest in the Haight--his teenage step-daughter ran away and disappeared there a year earlier and Spracklin has scoured the murkiest parts of the hippie district searching for her. Setting is critical in this novel, and readers of my blogs will know I’ve fallen in love with Haight-Ashbury. It’s also critical that I set the book in 1968, rather than during the Summer of Love in 1967. By the spring of ’68, the Summer of Love is over, and the home of the flower power movement is deteriorating into a heroin-steeped jungle. The Tet Offensive has turned popular opinion against the Vietnam War, and Martin Luther King, Jr. has been assassinated. I’ve had fantastic feedback on The Haight and I’m really excited about its launch. It’s available on Amazon (Click here for Amazon US and here for Amazon Canada). It’s also available in a range of book stores in the San Francisco area. If your local bookstore doesn’t have it, please do me a favour and order a copy. It’s a great read for the beach or the cottage. If you study the Amazon page closely, you’ll see that it says “Series: Haight Mystery (Book 1)”. The plan is to put out a Book 2, which I’m now working on. (And hopefully Books 3, 4, and 5.) Keep following this blog and I’ll keep you updated on progress. I owe a HUGE debt of thanks to so many people with this novel. I especially want to thank all the people who took the time to read various drafts of the book and provide feedback. Ranking Michael Connelly's Finest Novels. And the Winner Is . . .